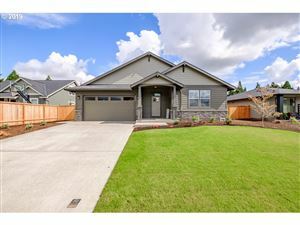 Sharp 1 level home in McMinnville. Modern finishes with tasteful eclectic undertones. Open great roof floor plan with bamboo floors and custom fixtures. Remodeled kitchen featuring subway tile backsplash, stainless steel appliances, and butcher block counters. Large master suite with updated bathroom. 2 car garage for parking and storage. Nice backyard with fenced lot for privacy and entertaining. Excellent value, affordable home. This content last updated on 4/20/19 7:50 AM PDT. Some properties which appear for sale on this web site may subsequently have sold or may no longer be available. We respect your online privacy and will never spam you. By submitting this form with your telephone number you are consenting for Janel Huntley to contact you even if your name is on a Federal or State "Do not call List".